This program will provide several techniques on how to take your landscape photography to the next level using before and after still photos and video. Learn strategies to deal with high contrast lighting which is a common problem in the field, filter use and time lapse photography. Also included will be a demonstration of tools on how to predict the Milky Way, sunrise, sunset, tides, and moon rise-set through common cell phone apps. Our speaker is a professional nature photographer with a passion for wildlife, wild places and teaching who has been photographing nature for over 30 years. 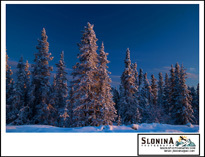 John’s subjects include landscape, wildlife, macro, and night photography. 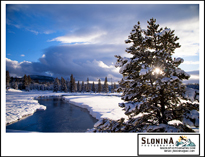 John’s work has been published in calendars, books, and magazines and has also been displayed in several galleries. His teaching style and humor make him a popular speaker, and he has presented for numerous camera clubs, nature groups, and photo conferences throughout the USA. 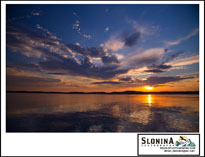 Through his photo tour company Slonina Photography he leads instructional tours and photo workshops across North America to national parks and areas such as Yellowstone, Katmai, Mt Rainier, Great Smoky Mountains, Kenai Fjords, Everglades, Big Cypress Preserve, Alaska, and Acadia. John’s goal is to make everything a fun learning experience.